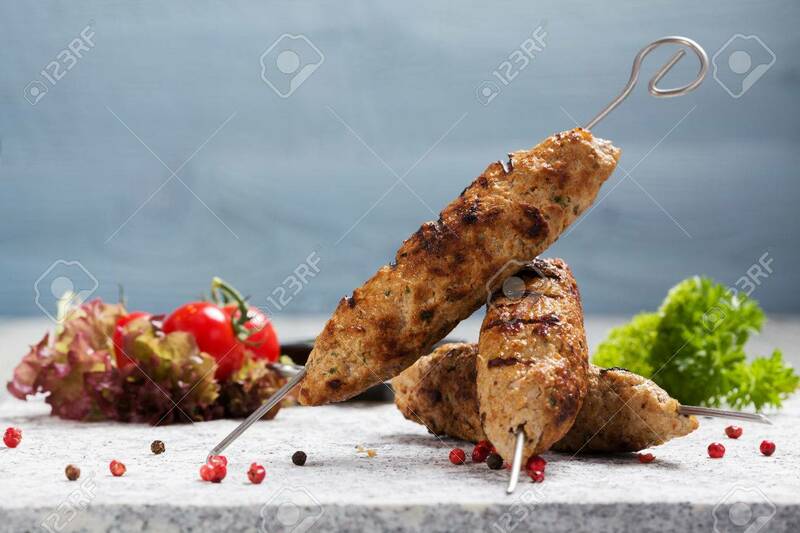 Barbecued Kofta - Kebeb With Vegetables On A Plate. Selective Focus Banco De Imagens Royalty Free, Ilustrações, Imagens E Banco De Imagens.. Image 44376396.